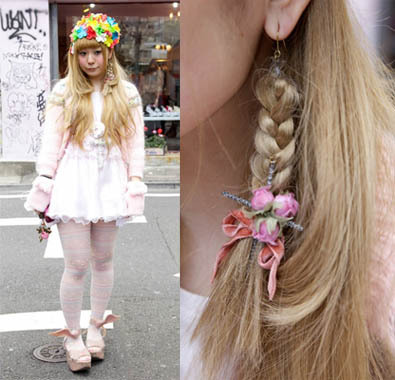 While she is completely adorable and has a cute+lovely style, her hair-braid earring peaked my interest. It's unusual, a bit creepy but I love it. See more close-ups of her outfit at TokyoFashion.com, especially her shoes.